64-year-old Helen has noticed strange cramping and a feeling of heaviness in her legs lately. It’s most noticeable during the brisk walks she takes in the park with her girlfriends, but it also happens during the night. Sometimes pain in her feet even wakes her up. Helen has type 2 diabetes and high blood pressure, both of which are relatively well-controlled by medications. She recalls her doctor telling her about something called “PAD” a while back, but she can’t remember the details. She decides to see her doctor right away about her symptoms. This is a good choice on Helen’s part since she has some of the characteristic symptoms of peripheral artery disease (PAD). Helen’s doctor refers her to a cardiologist, a specialist who treats conditions of the heart and circulatory system. The medical term for the pain Helen is experiencing in her legs is “claudication,” and it happens when not enough blood flows into the legs or arms. 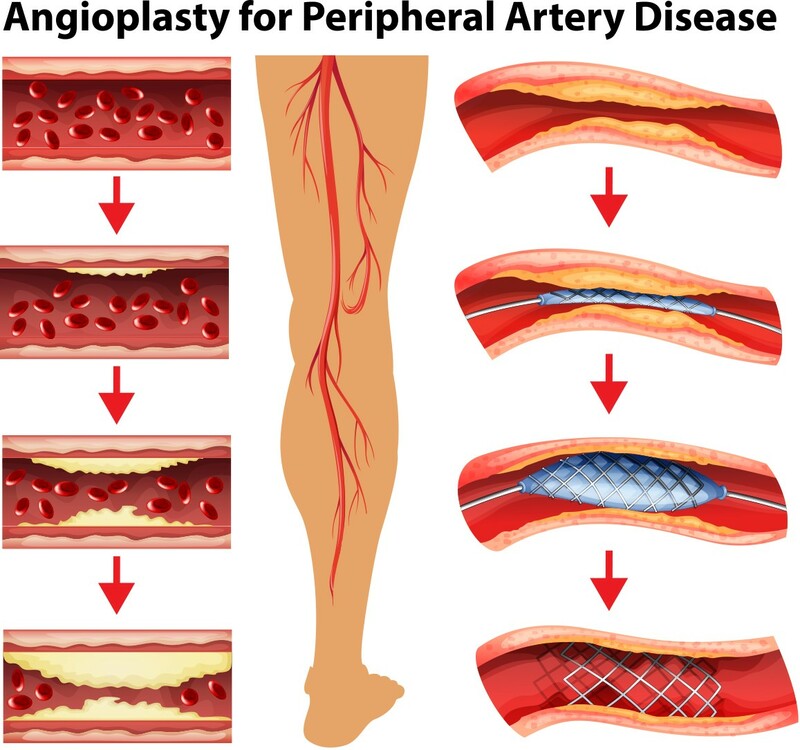 Ahead, we’ll define peripheral artery disease (also called peripheral arterial disease) and explore its symptoms, causes, and risk factors, along with treatment options and prevention strategies. Peripheral artery disease occurs when fatty plaque builds up in the arteries that carry blood to the arms, legs, organs, and head. 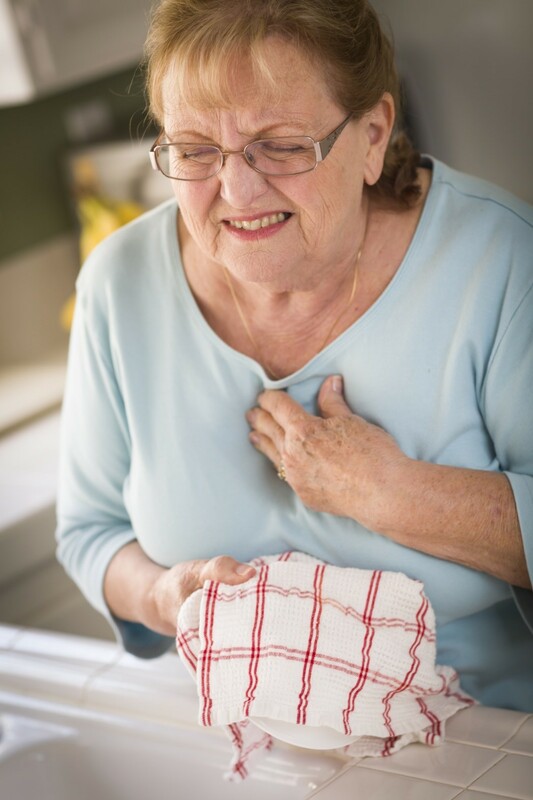 When this plaque hardens, the arteries become narrowed, which reduces blood flow to the limbs; hardening of the arteries is called atherosclerosis, and it can also occur in the arteries that supply blood to the heart, resulting in coronary artery disease, a form of heart disease. Smoking is a major risk factor for PAD.3,4 Even former smokers have an elevated risk, but this should not discourage a person who smokes now from quitting—in fact, the opposite is true. Smoking increases a person’s risk for PAD significantly, and every day a person continues to smoke puts them at greater risk of developing the disease. Smoking cessation programs, which often include prescription drugs to alleviate cravings, support groups, and other helpful tools, have helped many people quit—check with your doctor about which programs are available. Diabetes; while diabetes does not directly cause PAD, individuals with diabetes are at increased risk for developing atherosclerosis. Age; those over age 50 are at increased risk. Personal or family history of heart disease, heart attacks, or strokes. Leg pain, cramping, and heaviness, especially while exercising. Thick, yellow nails with poor or no growth. Sores on the legs, feet, or toes that don’t heal or are extremely slow to heal. Cold toes and feet, especially one foot/leg colder than the other. Shiny skin on the legs or feet. A change in skin color on the legs. Hair loss or slower hair growth on legs and feet. 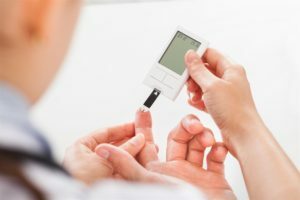 Erectile dysfunction (more common in men with diabetes). PAD causes reduced blood flow to the limbs, which can increase a person’s risk of developing ulcers (sores) and infections. When blood flow restriction is severe enough, it can cause tissue death (gangrene). In very serious cases, a person’s foot or leg may need to be amputated. Tissue death and resulting amputation can be devastating—this is why it’s so important not to ignore the signs and symptoms of peripheral artery disease. Tell your doctor right away if you’re experiencing unusual pain and cramping in your legs or any of the other symptoms listed above. In many cases, PAD is not diagnosed until after a person starts to notice signs and symptoms. Physical Exam: Your doctor will take your complete personal and family history and will perform a physical exam, which will likely involve checking and comparing pulses and blood pressure readings on your legs and feet. An absent or weak pulse in the legs is a sign of PAD, and a whooshing sound (called a bruit) in the leg arteries is a possible warning sign of a narrowed or blocked artery. A blood pressure reading that is lower on the affected limb than on the unaffected limb is another warning sign. Your doctor will also examine you for changes in your hair, skin, or nails, and for poor wound healing. Ankle-brachial index (ABI): This test compares the blood pressure in your arm to that in your ankle, which helps the doctor determine how well blood is flowing into your limbs; the ABI test doesn’t show which blood vessels are narrowed or blocked, so, if the doctor detects a problematic reading, he/she will need to order additional tests. 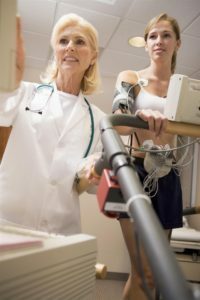 Treadmill test: This test involves walking on a treadmill to help the doctor determine the level of exercise that brings on your symptoms; your doctor may perform an ABI before and after the treadmill test to compare blood flow in your limbs before/after. Doppler ultrasound: This test uses harmless sound waves to measure the blood flow through the major arteries and veins in your limbs, which can identify blocked blood vessels. Angiogram: This test involves injecting a dye into a vein, which allows the doctor to see your blood traveling through your arteries in real time; during the procedure, the doctor may take an x-ray or use magnetic resonance imaging (MRI) technology to take pictures of your blood vessels. Blood tests: These tests can reveal conditions that are risk factors for PAD, including high cholesterol, diabetes, and others. 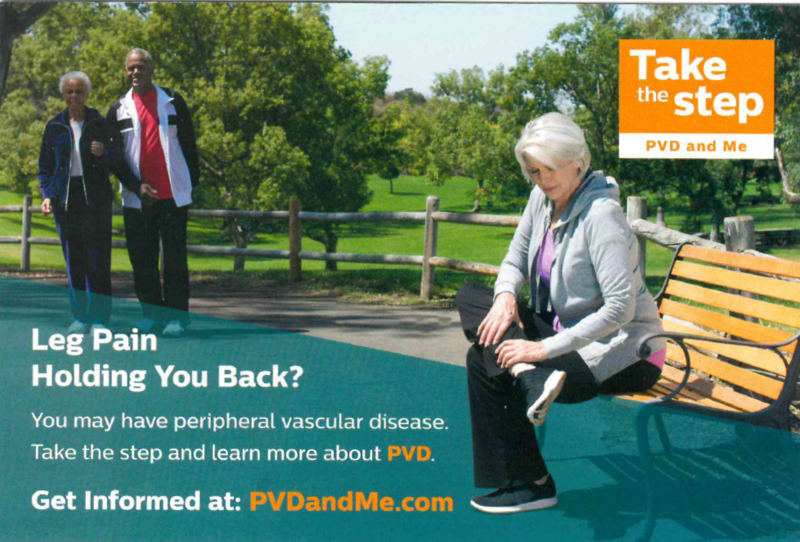 The overall goal of PAD treatment is to improve symptoms during physical activity, improve mobility, prevent heart attack and stroke, prevent complications, and halt the progression of the disease. In most cases, your doctor will start with the least invasive treatment options and progress to more intensive treatments if needed. Which treatments are appropriate will depend on the results of your physical exam, your personal and family history, and diagnostic test results. Medications: Your doctor may prescribe medications to reduce high-blood pressure, lower your cholesterol levels, prevent blood clots, lower your blood sugar, and relieve pain. Bypass grafting: If blood flow in a limb is partially or completely blocked, your doctor may need to perform a bypass graft, in which he or she takes a blood vessel from another part of your body or uses a synthetic tube to bypass (go around) the blocked artery. Angioplasty and stent placement: This procedure involves inserting a thin tube (called a catheter), fitted with a balloon at the tip, into a blocked artery. The balloon is inflated, which pushes plaque toward the artery wall; this widens the artery and improves blood flow. If the blockage is severe enough, the world class cardiologist may place a small mesh tube called a stent in the artery during the procedure. The stent remains in place and helps keep the artery open; some stents are coated with a special medication that helps prevents future blockages (see related image). Atherectomy: This procedure involves shaving/cutting off plaque from inside the artery in order to widen it. 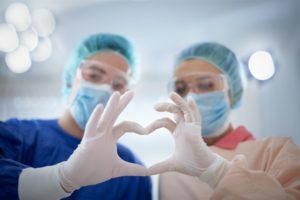 Through a catheter, the world class cardiologist inserts a tiny cutting device into the artery to cut away the plaque; the plaque particles are either removed through the catheter or, if small enough, are allowed to wash away in the blood stream. Doctors can perform an atherectomy with a tiny surgical cutting device or with a laser. Quitting smoking is one of the most important things you can do to prevent PAD or halt its progression. Exercising regularly and choosing a whole foods diet that includes plenty of fiber, whole grains, fruits, vegetables, and lean protein sources are additional ways to help prevent or manage peripheral artery disease. Take good care of your feet—wash them daily, dry them thoroughly, and apply moisturizer liberally (except between the toes, which can cause fungal growth) to help prevent cracking, as cracking can lead to infection. Wear well-fitting shoes and dry, thick socks. Inspect your feet every day for sores and injuries, and see your doctor right away if you see signs of sores/injuries. Peripheral artery disease can be managed with the right treatment plan and self-care. The world-class cardiologists at Cardiac & Vascular Consultants provide compassionate, comprehensive care in a patient-centered environment. Our expert physicians provide a full range of diagnostic and interventional cardiology and vascular services, including angioplasty, stents, pacemakers, and defibrillators. We specialize in treating the entire spectrum of cardiology and vascular conditions, including peripheral artery disease. We’ll work closely with you to develop a treatment plan that’s tailored to your specific needs. Learn more about our services, and contact us to schedule an appointment with one of our esteemed physicians.